Online counseling comes in many names - online therapy, e-therapy, e-counseling, teletherapy, cyber-counseling. This online service is among the new forms of internet services in which a therapist or online marriage counselor provides psychological advice and support over the Internet. The process can be through e-mail, video conferencing, online chat or internet phone and can occur in real-time setting. But what is important to put this e-counseling into proper perspective is that it cannot replace the conventional therapy or psychotherapy. It can only offer guidance and advice to people experiencing problems in relationships, work or even life itself. Therefore, e-counseling has limitations. The set up, which is a distance communication between online therapist and client, is actually not a new thing in the counseling world. Even Sigmund Freud employed letters extensively to communicate to his patients. As early as 1982, there emerged self-help groups on the Internet. Now, there are so many sites offering mental health information which includes private e-therapy clinics. Because of the immense growth of this form of service, this has led into the creation of the International Society for Mental Health Online in which their main objective is to provide guidelines in a safe and orderly process of availing Internet mental health services. 1. When you live in a remote area where there are no available mental health practices, you are able to access counseling service and treatment via Internet. 2. It can also be available online to people who are disabled or have physical handicaps which have made them housebound. 3. It is reasonably affordable and convenient, knowing that you can have online sessions in the comfort of your own home and according to your own convenient schedule. 4. 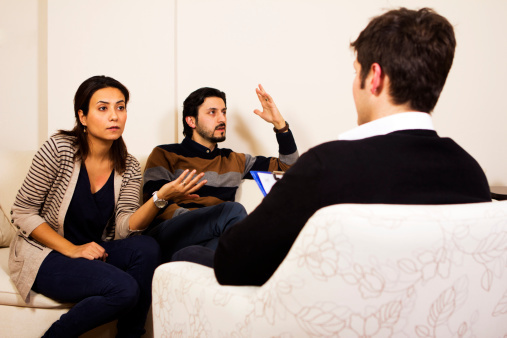 E-counseling can be considered a useful tool to learn more about psychological health, health behaviors and coping strategies for professional counselors. Studies about online cognitive behavioral therapy (CBT), which was conducted between 2000 and 2012, were reviewed. The studies tracked participants for a relatively short period of time after undergoing therapy, which was about 8 weeks to 2 years therapy. Researchers found out that online CBT could effectively reduce symptoms of depression and other mental health issues. The approach of CBT is to trim down negative thoughts, thereby alleviating the symptom that can lead to depression and some forms of mental illness causing to a behavior change. These studies were published in the Canadian Medical Association Journal. Since the studies were done in a short period of time and did not extend into a longer period, the researchers do not know if the symptoms were permanently alleviated. The team of researchers further reported that some human connection is lost with online therapy. However, the evidences that they gathered of their studies, which support the effectiveness of online therapy, are significant.